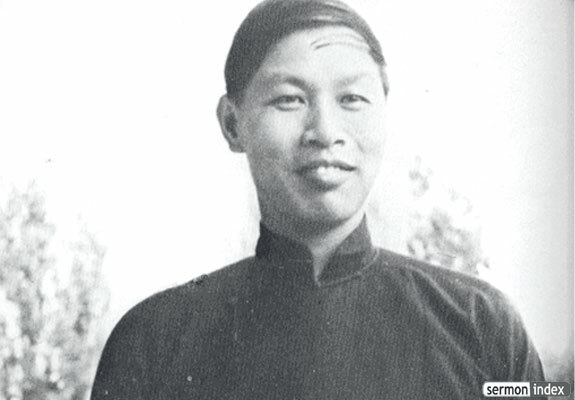 Watchman Nee was one of the most influential leaders and thinkers in the history of Chinese Christianity. 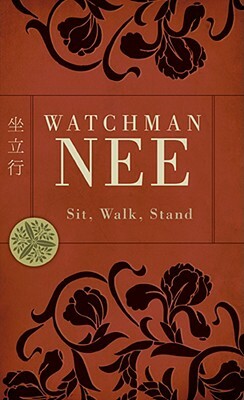 It has been said that Nee’s writings and example, more than any other factor, have shaped the contemporary Chinese church. In his highly popular book, Sit, Walk, Stand, Nee offered an exegesis of Paul’s Letter to the Ephesians that outlines the Christian’s position in Christ, life in the world, and attitude toward the enemy (10). In this book, Nee argues that Paul advocated that the Ephesian church interact with the cosmos in three distinct ways: sitting, walking, and standing. For Nee these concepts not only appear to provide an exegetical model for understanding Ephesians, but also seem to function as one of the primary lenses through which he views the Christian life. In this work Nee writes that a Christian life pleasing to God consists of adjusting oneself to the perfection of his son (9). To best do this, he advocates following Paul’s model in Ephesians, that of sitting, walking, and standing. In this view, Christianity must begin with sitting because “Christianity begins not with a big DO, but with a big DONE” (14). Nee’s Sit section remains very much a manifesto of a strong reformation-influenced understanding of salvation, namely that Christians are saved by relying on Jesus, and that humans can do nothing whatsoever to save themselves (15). By resting in the Lord, Nee argues that the Christian can build upon the already complete work of God and find deliverance from sin and anxiety (17-22). For this understanding of the Christian life, Christ’s death and resurrection moved beyond merely remedying Adam’s sin into the realm of complete redemption for fallen humanity, moving believers, eventually, into full communion with God through the finished work of Christ (16). In short, for Nee the work of Christianity begins not with the work of the individual Christian, but with the finished work of Christ (17). However, the Christian walk does not end with sitting, for sitting is always properly followed by walking (27-8). Whereas ‘sitting’ describes the position of the Christian in relation to God through Christ, walking represents the practical outworking of that heavenly position in Christian life on earth (28). Key to understanding this conception of Christian faith is Nee’s pronouncement of the incarnate and practical aspects of the Body of Christ that, as he rejects all thinking that views Christ as remote or unreal (29).Especially vital for this are proper Christian relationships with others. Nee writes that nothing has done greater damage to Christianity than Christians trying to be right and demand right of others (31). Instead of focusing on ‘right’ and ‘wrong,’ we should instead make the Cross the central principle of Christian conduct, a principle that Nee argues will lead to true conformity with Christ, not the legalism of rules and regulations (32-3). Such a cross-centered walk will not be easy, Nee writes, but the Christians’ secret is to rest in Christ and to receive his power from one’s God-given position (34). The character of one’s walk naturally follows from where one is in Christ, just as it was for Paul in Ephesians (35). Nee closes his section on Walking with the reminder that Christians are called to redeem the time by trusting, and not by merely acting like Christians (38-9, 48). Nothing is so harmful to the Gospel than Christians acting like Christians and not going beyond that which is ‘right’ (38-9). Thus for Nee, walking involves a whole-hearted commitment to the cross that derives it power from one’s position in Christ. Finally, Nee writes that the while Christian experience begins with sitting that leads to walking, it ultimately must lead to Christians learning to stand, to enter into conflicts with the evil one (52). No Christian can enter into spiritual warfare without both having learned to rest in Christ and to have gained strength in the Holy Spirit to live a practically holy life on earth (52). In fighting the foe, however, Nee notes the importance of properly understanding our function of holding, not attacking, not of advancing into evil’s territory, but of defending the sphere of Christ (55). Such standing depends fully on the progression of the Christian life until this point; that is having properly sat with Christ (56). For if a Christian is “not sitting before God he cannot hope to stand before the enemy” (56). In standing, the Christian’s reliance on the power of Jesus’ name functions through preaching, spiritual warfare, and in intercessory prayer (61). And since Christ has now been exalted to heaven, these functions should be the primary work of the Church on earth as the representatives of Christ on earth (63). Seeing the apparent difficulties opposing the Church’s work and the Christians incapability within himself, Nee argues that God never asks Christians to do that which they are capable of, instead asking us to live an impossible life and to do that which we cannot (69). Despite our incapabilities, however, the grace of God enables to live and act in accordance with his will (69). For Nee, standing requires building upon the Christian’s foundation of sitting in Christ and walking with him before doing the work of God on earth in opposition to the evil one.